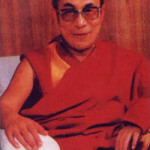 When the Dalai Lama (Tibetan Spiritual and Governmental leader) escaped to safety in India, he created a Tibetan Government in Exile. This organization is located in a beautiful mountain village called Dharmsala. You can find out more about this and current projects at www.tibet.com. 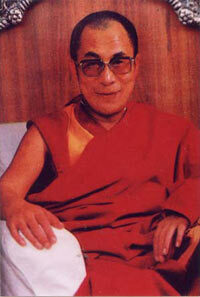 I had the rare fortune to meet the Dali Lama in Dharmsala in 1997. He is one of the only world leaders that personally meets people to offer good will and inspiration. I had read his autobiography and was humbled by the fact that such an incredible person could still be sincere and available. In his eyes, I could see simplicity, openess, and best of all laughter. We donate 10% of our profits from the website to the many project outlined in the Tibetan Governments website as a way of giving back. Tibet has brought a powerful legacy of Spirituality to the west and this gift is priceless. I am interested in purchasing some of your products. Before I do, I would like to know more about the charity that you contribute 10% of the profits. Please post the name, address, and telephone number. Namaste, Here are some of the groups we like: Tibetan Nuns Project, Lion’s Roar, Tibetan Aid Foundation, Shambala, Students for a Free Tibet. Their address and phone numbers are readily available on line.